It may come as a surprise to some, but I don't like all bugs. There are many I find despicable. Mosquitoes kill more people than lions, tigers and bears combined. Fleas killed my dog. I'm extremely allergic to tick bites. 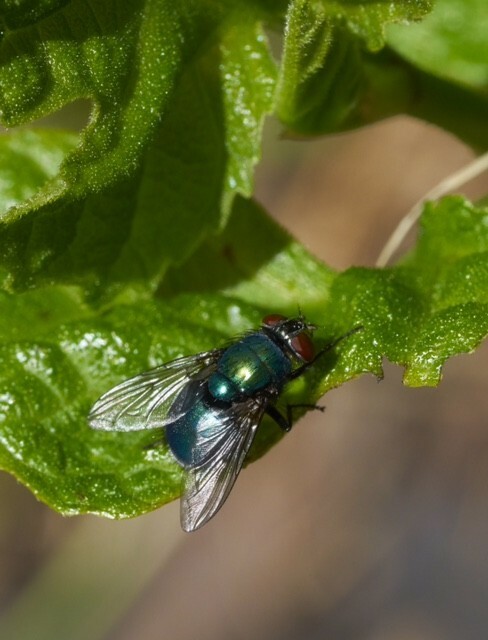 I find flies, not all members of the order Diptera, but house flies, green bottle flies and blue bottle flies disgusting. They live in and spread putrescence and decay. So, when I started getting a bunch of them in my house, I applied my extensive knowledge of their life histories to find a way to reduce their numbers. It's fun to kill them. There, I've said it. One of my favorite inventions is the electric fly swatter, available when on sale at Harbor Freight for $2.99. Smack one with that contraption and you get a satisfying bug-zapper “snap!” and the smell of burning bug smoke. Another not-so-big-game-hunter favorite is the Bug-a-salt, essentially a shotgun for bugs that uses table salt as projectiles. With a range of up to about 2 feet, wing shooting them can be a challenging sport. The problem with those is that there are way more flies out there than any human has time to kill.